Not all heroes wear capes, and this incredibly brave and kindhearted man is a definite proof of that. His story is so unique, it’s hard to believe. What he did in order to rescue an animal in need is simply amazing. 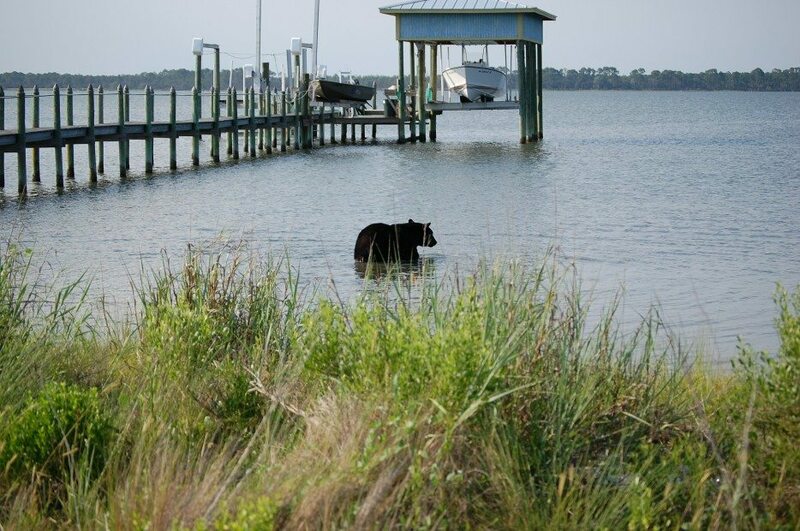 Recently, the wildlife experts from the Florida Fish and Wildlife Conservation Commission were alerted of a bear that was wandering near a neighborhood area. They answered the call and were expected to get the animal into his natural habitat. They shot the bear with a tranquilizer gun in order to make it easier for it to be transferred, but things took a wrong turn as the poor creature panicked and jumped into the water. As it swam, he was slowly falling into sleep as a result of the shoot. That’s when everyone around became aware of the severity of the situation. The bear was about to drown if they didn’t act quickly. And just when they started losing hope, biologist Adam Warwick dived into the Gulf of Mexico to save the bear. 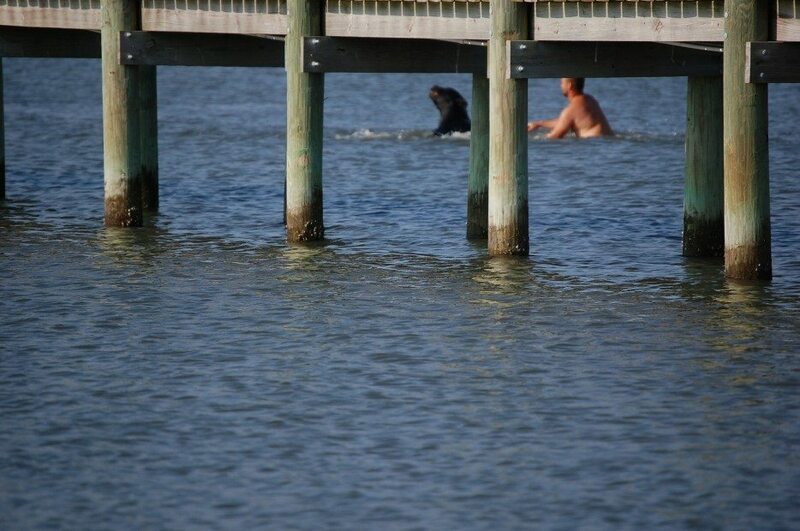 “I just wanted to try to get in front of him and keep him from swimming out there and drowning,” Warwick later told his local CBS News Station. Once he got near, he could grab a hold of the 375-pound animal. 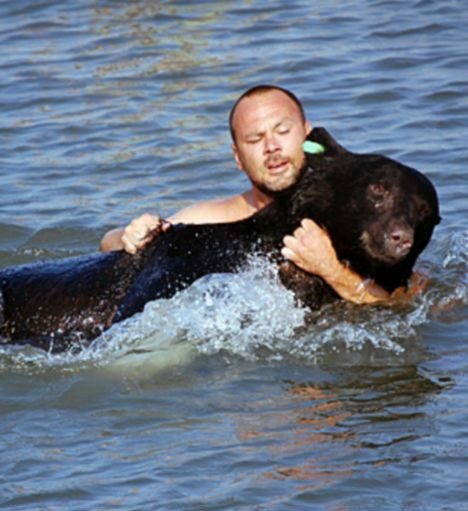 He kept one arm underneath the bear’s head in order to keep it above water as he dragged the animal back to the shore. 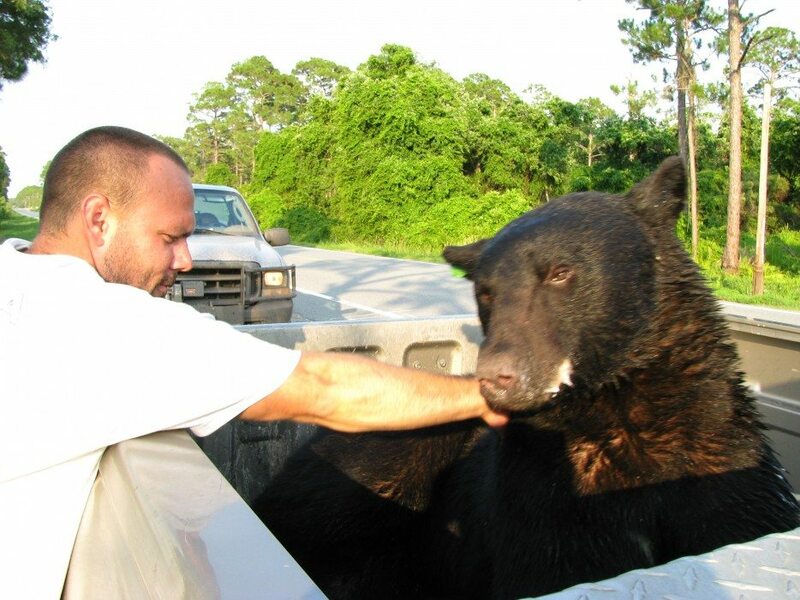 The poor bear was taken to Osceola National Forest, safe and sound, while Warwick only suffered a minor foot cut, and a single scratch from the animal whose life he saved. He is an amazing man who didn’t hesitate to offer a helping hand, even though he put his own life on the line. We thank God for courageous people like Adam Warwick.